ASU political psychologist helps traumatized nations heal, find forgiveness. While she spends her active time in the water, it's the rocks that piqued her academic interests. 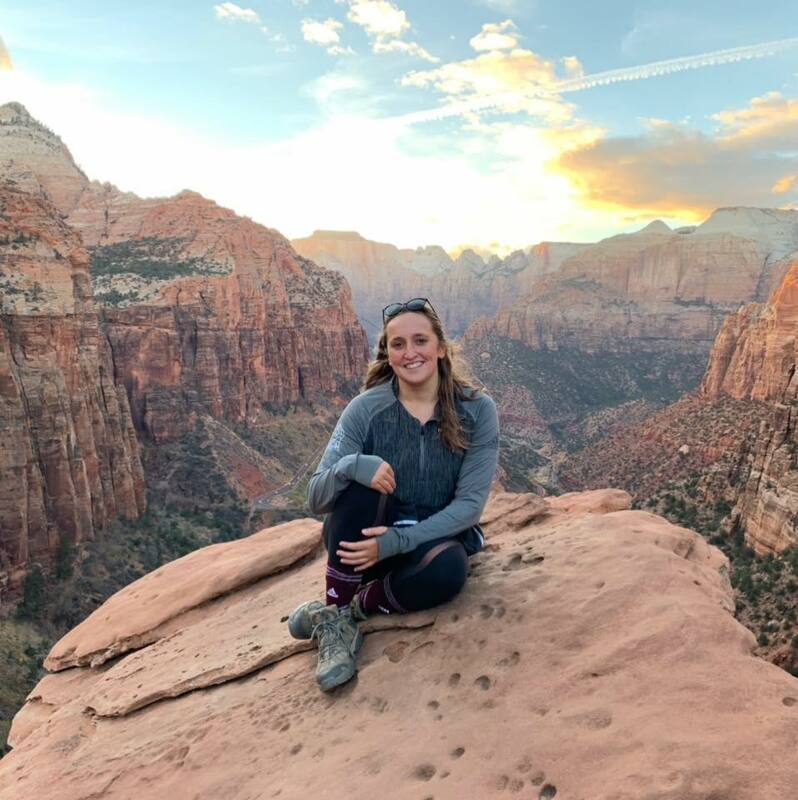 The Manchester, England, native came to Arizona State University to play on the university's water polo team, and she decided to pursue a degree in geography along with minors in sustainability and history and a certificate in geographic information science. "I am fascinated by how the planet is formed and how it is now changing," Huck said. The athlete is also a model student. A member of Barrett, The Honors College, Huck has also been selected as the School of Geographical Sciences and Urban Planning's Dean's Medalist. This award, given by The College of Liberal Arts and Sciences, recognizes the highest achieving students from the social sciences, natural sciences and humanities. Huck will be graduting this May. We asked her a few questions about her time at ASU. Answer: I first realized I wanted to study geography in my junior year in high school. I was sat in my geography class and realized how what I was learning really impacted my life, and I just loved how I could go out and see aspects of geography in my everyday life and in the news. A: One overrunning theme that I found in many of my classes here, not just geography ones, is how important policymaking is when it comes to different aspects of life. When making policies it is important to understand all views and to try to find a middle ground that everyone is happy with. This can come down to policies regarding social issues, tackling climate change, or some of my personal favorites, dams. A: I chose ASU to be on the water polo team. The opportunities for me to play and study here were amazing! I was also very impressed with the geography department because of how deep and broad of studies they offer. A: Honestly, I am constantly inspired by a lot of my professors so it is hard to pick out just one. I think the passion they have for what they research is a very important life lesson. It made me realize that whatever I want to do in the future, I need to be passionate about. You just have to walk around (the Coor Building's) fifth floor to see all the posters and maps that professors have on their doors, and you see that they really care about what they do! A: Sleep is so important! Never underestimate the power of sleep. A: If you asked me this a year ago I would have said the "secret garden." I love finding hidden places on campus. But now it is a tie between the Mindfulness Room in the MU or the second floor of the Student Pavilion. A: I plan go back to the United Kingdom to earn a master's relating to geomorphology. A: I would love to solve coral bleaching. There are so many factors that cause this to happen, and I think more research needs to be done in this area. Although progression is being made into coral reefs and why they bleach, public awareness of these causes is lacking.